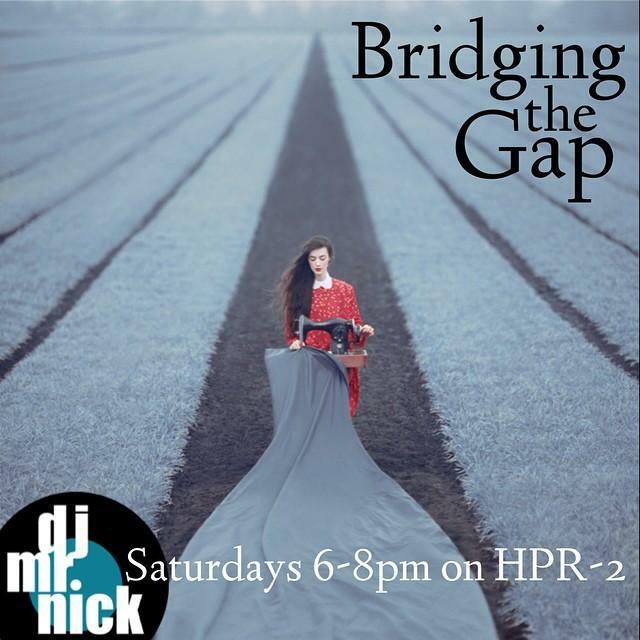 Tonight is a special Valentine's Day Edition of Bridging the Gap. 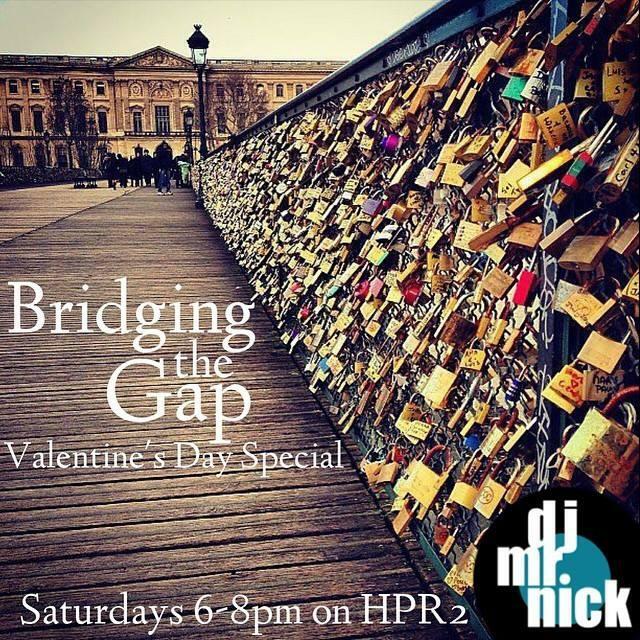 So I'm breaking with the usual show flow and playing some of the most romantic music in my collection. In the decade after 1961, Motown record’s distinctive sound propelled 110 hits into the Billboard top ten. This weekend, the Kings of Spade present their 4th annual Motown Valentines Review featuring the music of the Supremes, Jackson five, Stevie Wonder, Marvin Gaye, and others. 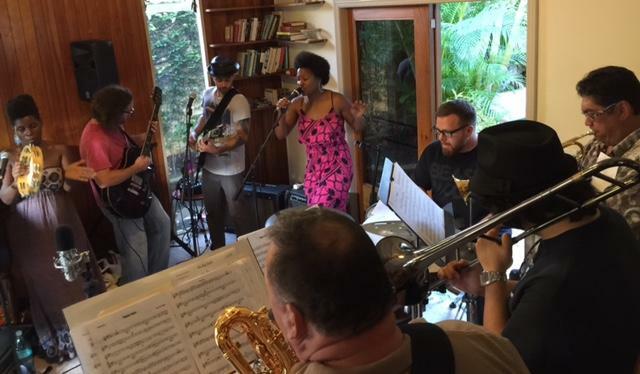 HPR’s Noe Tanigawa caught a recent rehearsal. 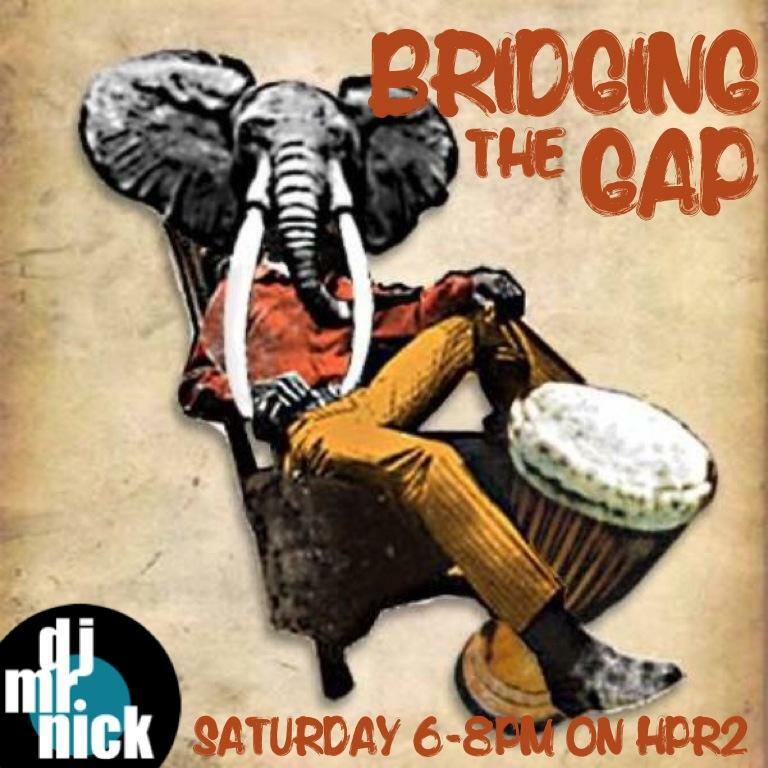 This shows gonna be a journey through the music of West Africa, then onto some Tango, then some funky Jazz. Tonights show is gonna be selected completely on the fly, nothing planned, just pure DJing. 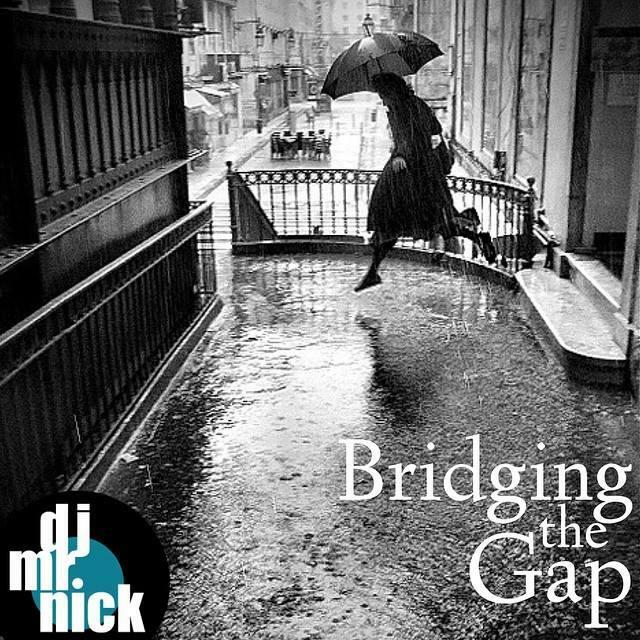 An eclectic blend of sounds from Bossa to Latin, to the coolest Soul & Jazz. 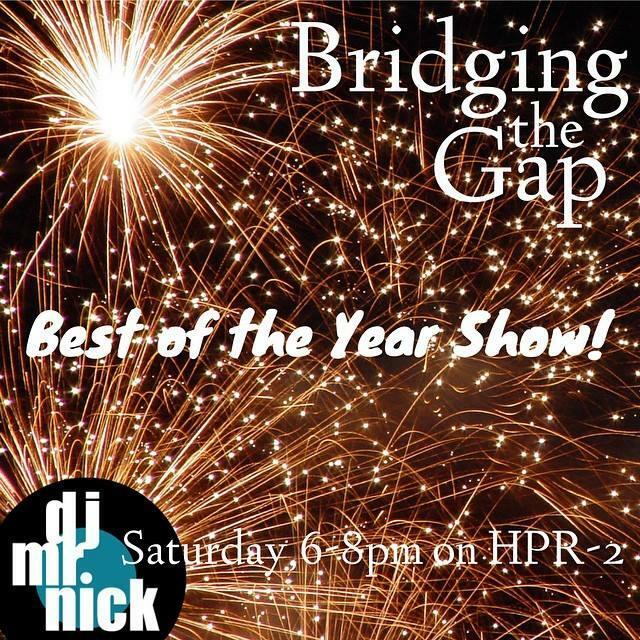 Tonight's Show is going to be a collection of some favorites, and the best collected over the past year. Do people actually read the credits? Tonight's show will follow a truly eclectic format. 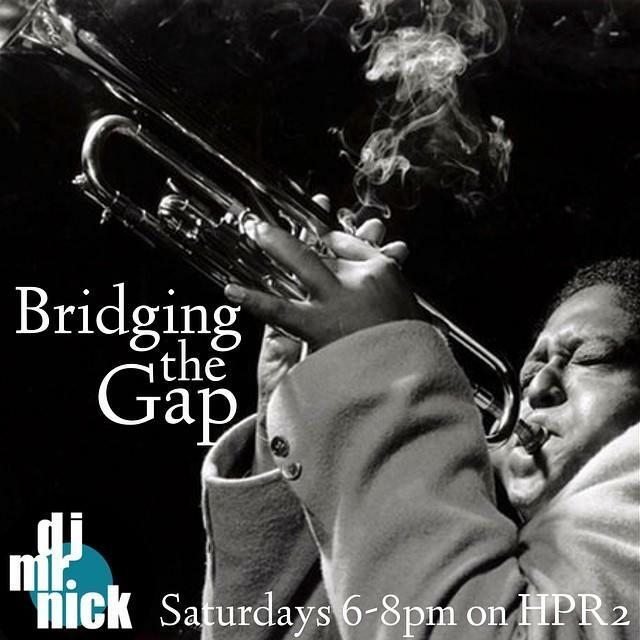 Tonight on Bridging the Gap, some new French gypsy swing a little later in the show. 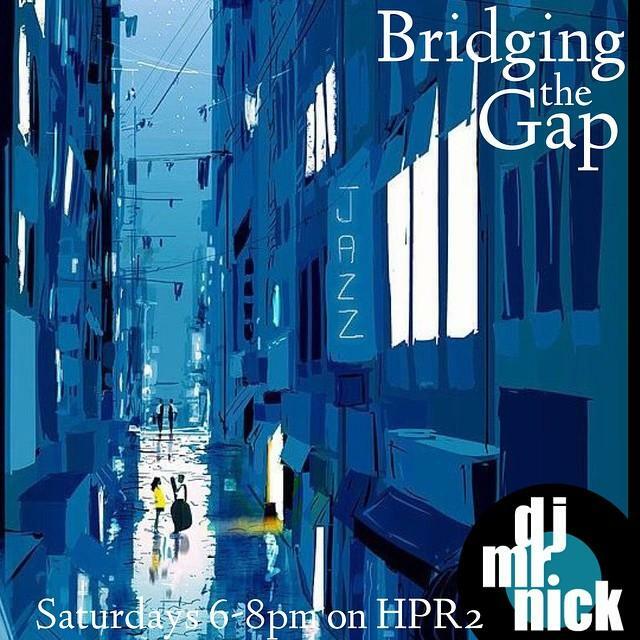 Tonight's show is going to be a return to form: Bossa, Latin, Downtempo, and Jazz format. 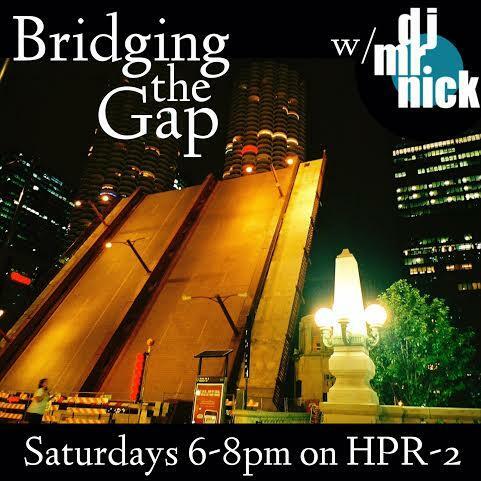 Tonights show is going to be a little preview of the CDs available as a premium for next weeks Pledge Drive. Tonights show somehow went a little afro-beat... But hey, nothing wrong with that. 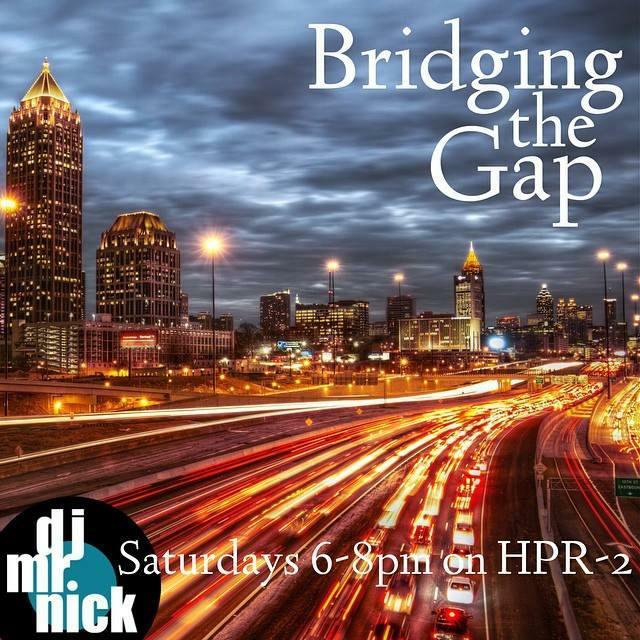 Stream or download the show. Lito Arkangel was born and raised in the sugar plantation town of Kea‘au on the island of Hawai‘i. He teaches at the University of Hawai‘i at Hilo when he’s not playing music. 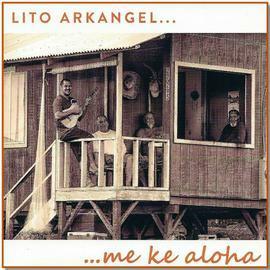 Lito's debut album is called “Me Ke Aloha” from Palm Records. 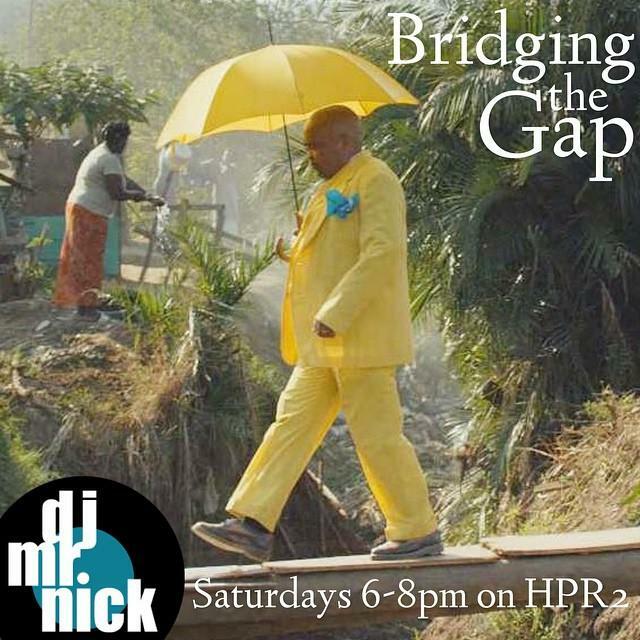 He performed live in the HPR-2 studio on “Kanikapila Sunday” on September 14. Tonights Show is going to be half on Vinyl, and Half on CD. Maybe you've seen this coming... more baby boomers retiring, compounded with college costs skyrocketing could bring a tighter labor market in the coming years. Dr. Kelley Withy is the primary physician workforce researcher in Hawaii and in advance of this weekend's healthcare summit she joined us to talk about Hawai`i’s healthcare workers shortage. 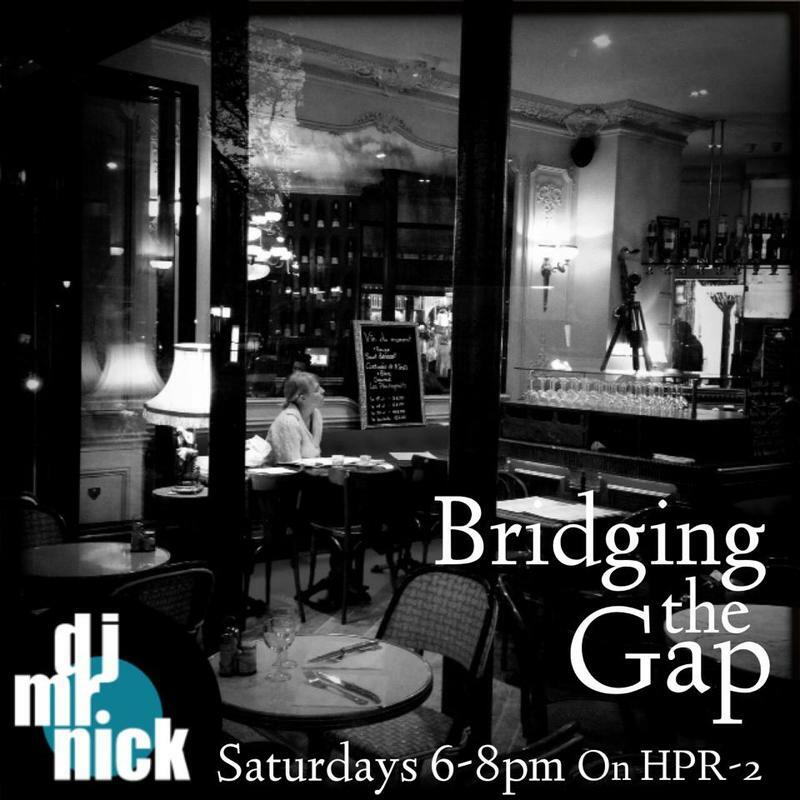 Bridging the Gap will now host all of it's playlists here on HPR2.org. If all goes well, the show will also be recorded and streamed here. 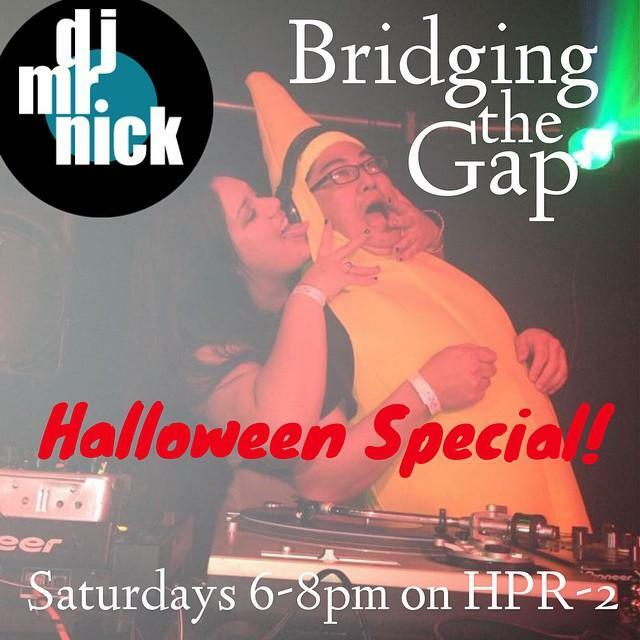 In the meantime, here is a mini podcast that was recorded for HPR. 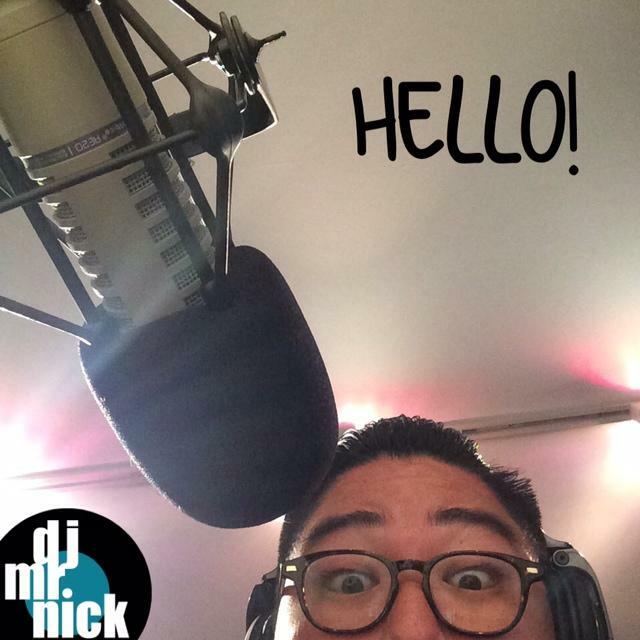 Also, Check out my Website, Mixcloud and Soundcloud. Thank you for listening, and stay tuned for more. Hawaiian music is as much a part of the islands as the mountains and ocean it often describes. But making a living playing it can be a challenge. 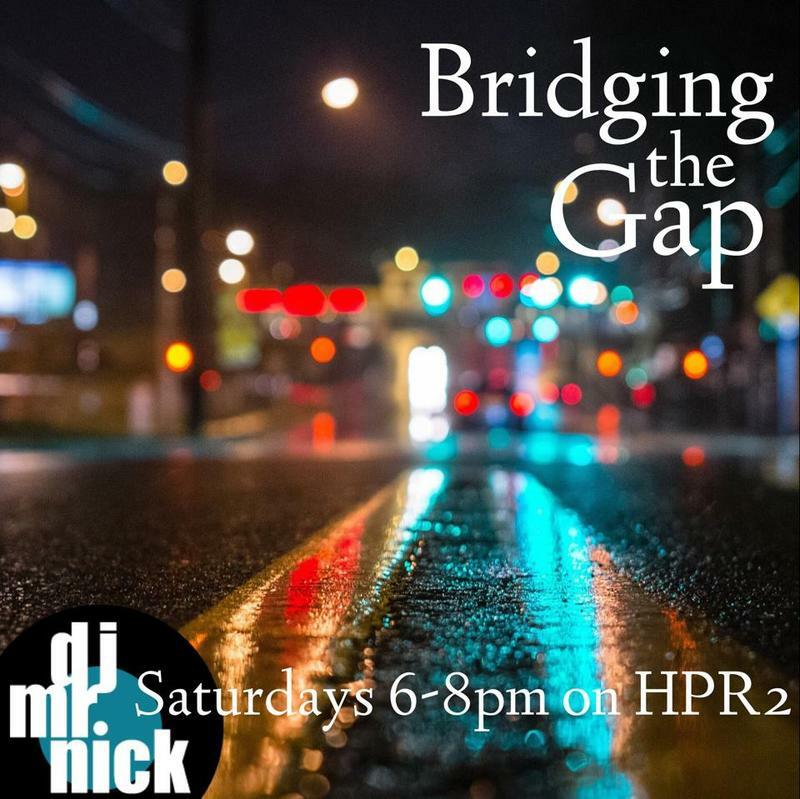 HPR’s Molly Solomon spoke with some local musicians and has this report. Three familiar faces in the Honolulu art and music scene have banded together for projects that make use of their many talents. 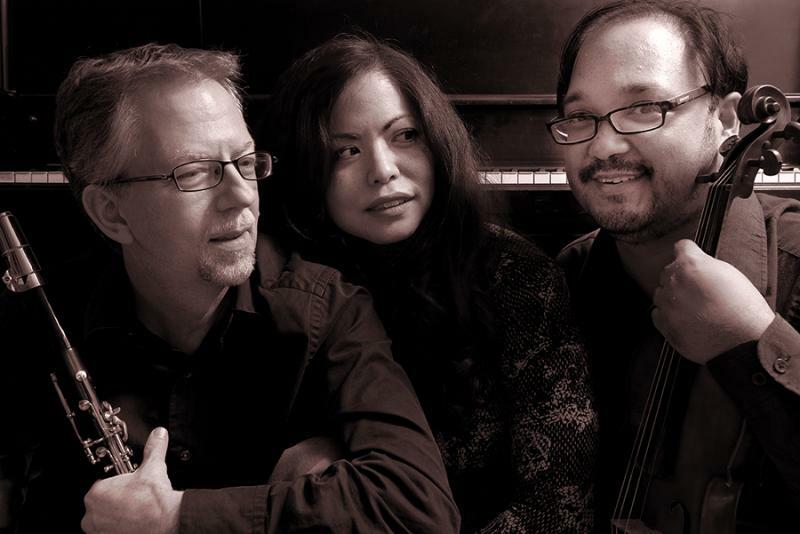 HPR’s Noe Tanigawa reports on the eclectic sound of Vivo, starting at a party at the Dragon Upstairs . 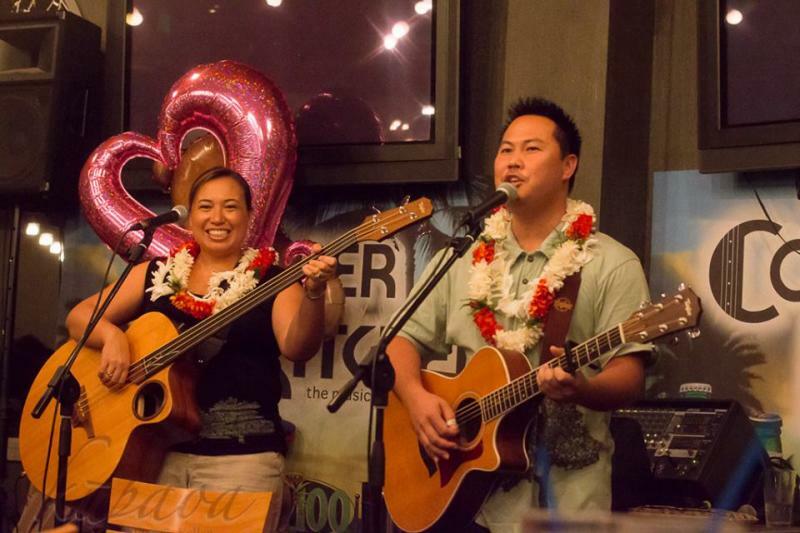 Vivo appears first and third Tuesdays at the Dragon Upstairs on Nu’uanu. Their CD release party is scheduled for December 11th at Mezz 127. You will be able to find the CD through your usual music sources, or contact the band directly. Music from another place and time will fill the chambers of St. Theresa’s cathedral this coming Friday. Like church services with rock music today, the oratorios in this concert were meant to bring 17th century congregations closer to the spirit. 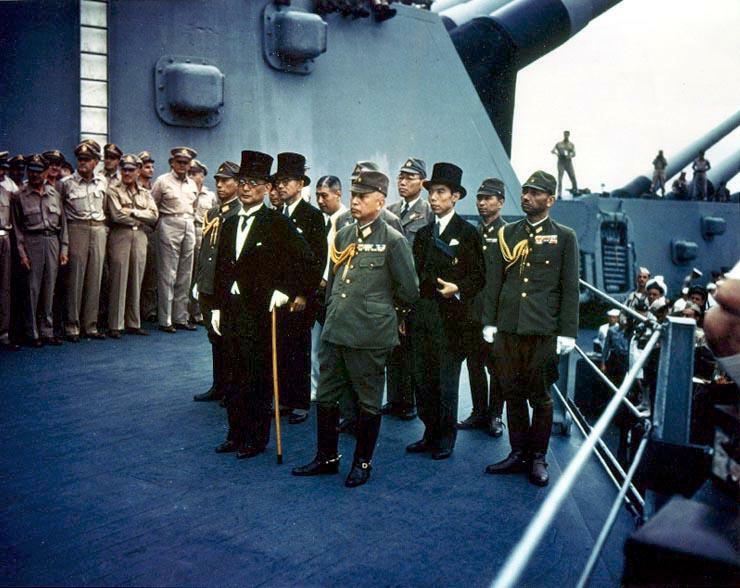 HPR’s Noe Tanigawa offers this preview. Randall Kosaki is NOAA's Deputy Superintendent of Papahānaumokuākea Marine National Monument. He studies the behavioral ecology, the taxonomy and biogeography of Pacific coral reef fishes. Across the state, most school students, parents, teachers and staff are into the final week of the academic year. Graduations are in full swing, and there is a lot of celebratory music going on. 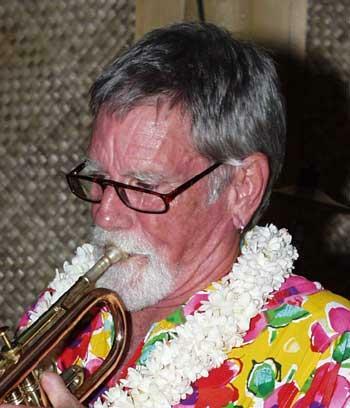 A musician who had a big impact on the music world has passed away on Hawaii Island, but left a legacy of familiar sound behind. 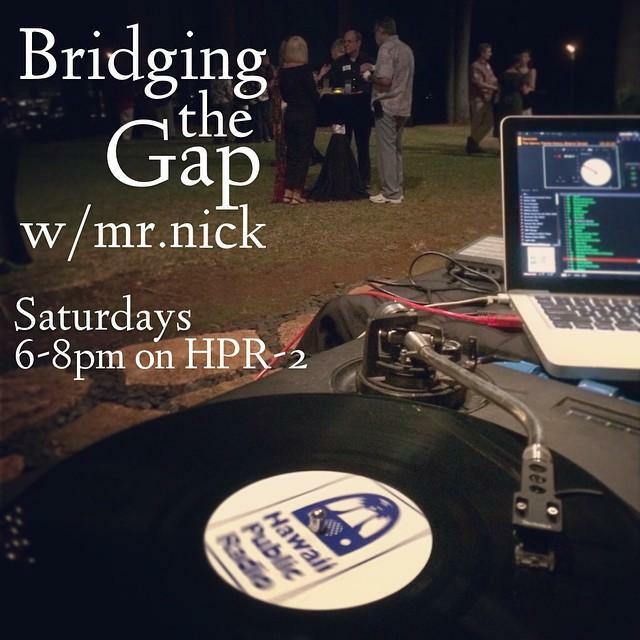 From the Big Island, HPR's Sherry Bracken tells us more.